Since the 12 days of anime started today (or, depending on your time zone, yesterday) I wanted to do a quick clerical note separate from the actual posts for the sake of organization. When I heard of 12 days of anime, I’d planned to do some well-thought-out, planned posts, but then didn’t follow up (RIP). So instead, I’m doing 12 quick train-of-thought-type posts about 12 anime I really like. These aren’t going to be in any order (so it’s not like a top-12 countdown or anything) and they’ll be short because life is busy, but I hope you’ll enjoy them! As a heads up, I’m not looking to make these function as introductions to the given work, so I’m assuming at least a passing level of familiarity with the subject matter. 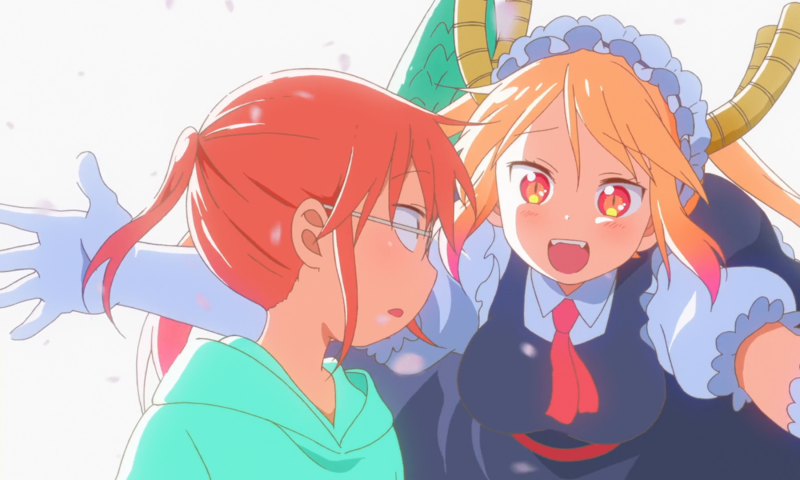 Also, none of these series are especially new (the most recent one is Miss Kobayashi’s Dragon Maid, from almost a year ago) so I’ll feel pretty comfortable discussing spoilers if they’re relevant – just a heads up for those who might want to avoid.